Firstly create a well-organized template for comparing web hosting services. Write one by one main features of every web hosting service and evaluate on the basis of your website requirement. And also mention the name of the hosting service provider. Once get this task finished, start your search for the web hosting service providing company and also focus on their features. 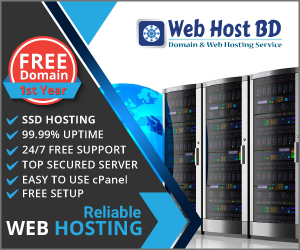 Keeping in view with your business requirement put all the details of each of the most suitable hosting service. Target top 5 to 10 hosts as it will make your work easier when you start comparing web hosting packages. Google page rank and Alexa traffic ranking score. These two are worldwide well-recognized and reliable metric used by the business website owners. Google page rank tells that how important a website is onoine users? Generally page rank is assign by Google that is 0 to10 for every website or web pages. Whereas, Alexa ranks every site relatively to all other sites and do it on a daily basis. While comparing the website through Alexa, just focus on one thing that to focus on lower numbers. For example, web host with awebsite ranking hundred reveals that it is having the top hundred positions in the world and it is considered better than the web host with a score of six thousand. Check review and feedback of customers and get clients interaction of hosting company. You have to understand that you are not going to wrong place with hosting company because you are going to paid for the services so its highly recommend to judge the services of provider that is it really dealing well as they promising before dealing. These metrics will help in safe and sound comparison web hosting service, just simply use it and see how many visitors visit the website and the popularity of the other existing website owners. A web host with high ranking in both of the metrics is considered as the most reliable and safe choice.